Adjusting to regularly changing threat levels while still engaging with society and getting diplomacy done in one of the world’s most dangerous cities—it’s all in a day’s work at Consulate General Karachi. CG Dodman discussing American democracy with local students on election night, November 2012. Just as they did on Sept. 11, 2001, the events of Sept. 11, 2012, changed the operating environment for overseas posts. New procedures put in place after the tragic events in Benghazi led to changes that continue to be felt in the field today. I was an active player in that process as the newly arrived consul general in Karachi in the fall of 2012. We had to adjust our daily operations based not just on changing threat levels, but also on shifting perceptions of what constituted acceptable risk. By some counts, there were more demonstrations against the anti-Islam video “Innocence of Muslims” in Karachi than anywhere else in the world. A Sept. 21, 2012, march by more than 100,000 protesters not only shut down the city of 20 million people but resulted in many casualties, prompting the State Department to briefly draw down half our staff. While no other day during my two years in Karachi quite compared to that one, it was not that far from our daily reality. One of the world’s most dangerous cities, with a large Taliban presence and a history of violent conflict along ethnic, linguistic, sectarian and political lines, Karachi is also Pakistan’s business hub and home to the port that is critical to the country’s economy and to U.S. engagement in Afghanistan. By some counts, there were more demonstrations against the anti-Islam video “Innocence of Muslims” in Karachi than anywhere else in the world. As befits a country as complex as Pakistan, there is a strong undercurrent of anti-Americanism in Karachi. But it exists alongside a respect for the opportunities and values that the United States represents, as well as nostalgia for the close relations the two countries have enjoyed at various points over the last 60 years. 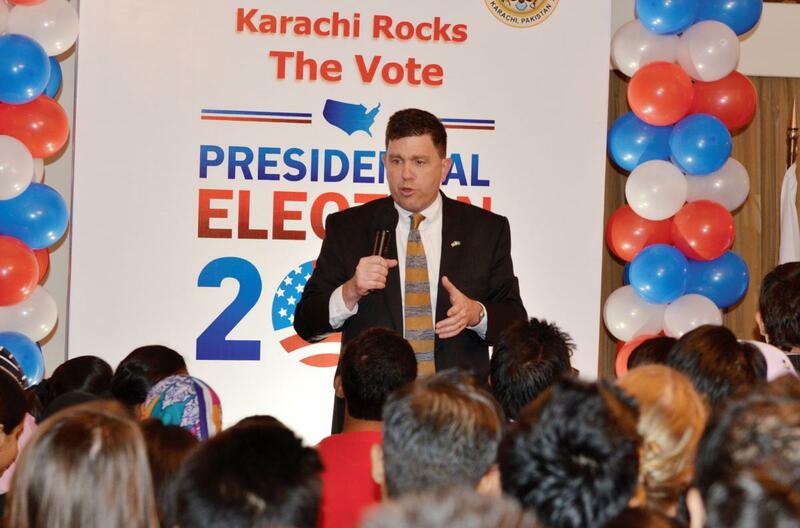 Karachi is a city that matters to the United States. That is reflected in our large consulate general, and in our robust development, counternarcotics and public diplomacy programs. Doing our job requires getting out into the city and province to report on developments and trends, conduct oversight, engage the media and students, and promote American business. And that is what we did. As the threat level fluctuated, we sometimes had to cancel or postpone trips and meetings, or go into lockdown. Perhaps we overreacted to some situations. But the point is that despite the increased level of post-Benghazi scrutiny from Washington, we were able to travel regularly in the city and the province. As a result, we conducted and monitored large public diplomacy and assistance programs and engaged civil society; we supplied Washington with analysis on what was happening; and we supported many official visitors. Here are some lessons about conducting effective diplomacy in a high-threat environment that I took away from this experience. 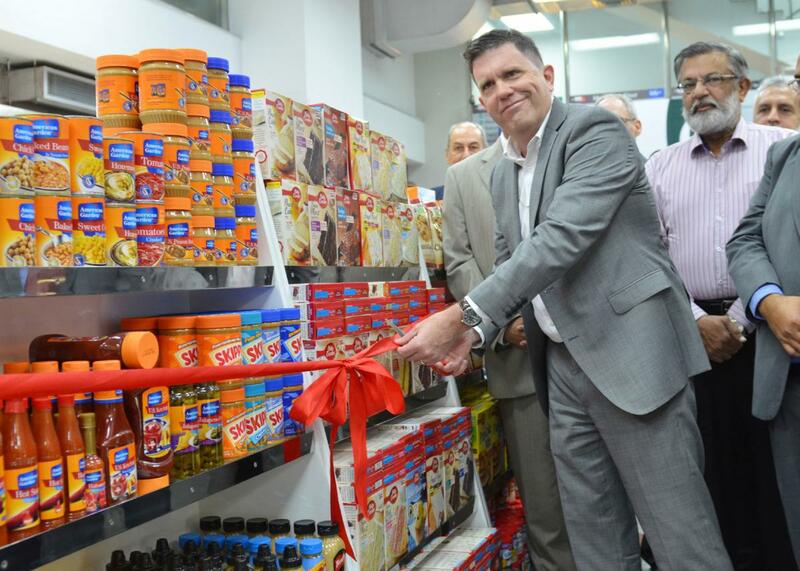 Consul General Michael Dodman opening a USDA-sponsored promotion of American food products at a Karachi supermarket, July 2014. Every movement an American staff member made in Karachi, whether to the barber shop, a national day reception or a ribbon-cutting ceremony, was planned in advance. Every trip out of town needed advance security inspections and coordination with local officials. With roughly 50 permanent American staff positions in Karachi, this level of effort required significant resources: American and local security personnel, trained drivers and bodyguards, sufficient armored vehicles, and the budget to support all this. We were lucky. With Pakistan a high priority for the United States, we had the budget and personnel to maintain the tempo of operations we thought appropriate. We could also take people off compound for shopping, recreation and cultural events. I should note that all of the procedures above were in place well before the Benghazi attacks, so we didn’t have to reinvent the wheel. That enabled us to respond appropriately to changes in threat levels, and assure Washington that we were taking all necessary precautions. In Karachi we were lucky to occupy a purpose-built, secure and comfortable compound that had been constructed after attacks on our old facility during the previous decade. This allowed us to conduct operations effectively, but also to hunker down safely when external threats required. Having the tools at our disposal to manage threats gave me the confidence to approve off-compound travel and permit incoming visits, and to argue against drawing down staff. Doing our job requires getting out into the city and province to report on developments and trends, conduct oversight, engage the media and students, and promote American business. Consistent messaging from the consul general in town halls and other settings emphasizing the importance of security procedures, and warning that violations would have consequences. Despite the difficult operating environment, Karachi enjoyed high morale. As a result, the restrictions imposed by our security procedures, and the impact of inevitable setbacks—lockdowns, trips cancelled after exhaustive preparation, etc.—had a less negative impact. Communication. Everyone in Consulate Karachi—American or Pakistani, permanent or temporary staff—knew what our mission was and the conditions under which we were operating. Town halls, all-hands emails, regular Emergency Action Committee meetings and lots of management-by-walking-around made sure of this. Work-life balance. I not only encouraged all American staff to take their R&Rs and any other leave they needed, but strove to model the behavior I expected of others by limiting work on the weekend. I also partnered with the local employee association, the Community Liaison Office and (especially when we didn’t have a CLO) a committee of volunteers to plan and sponsor social events: happy hours, cricket matches, holiday baskets for our 600-person local staff and parties for their families, cooking classes, trivia nights, etc. Paying for these sorts of morale-builders often required me to go out of pocket, but it was well worth that personal investment to strengthen Team Karachi’s resilience. CG Dodman enjoying a performance by Sufi musicians during a visit to northern Sindh province, February 2013. Consulate General Karachi’s security team was an integral part of everything we did. Our success would not have been possible without the unity of vision and purpose that I shared with my regional security officers, in particular. I was lucky to have enough RSO staff, but also the right people. They looked for every opportunity to say “yes,” even when saying “no” would have been easier. And they shared my commitment to customer service and communication. Looping in the RSO. Every trip, visit and engagement required advance planning, and someone from the RSO shop was always present from the start, so there were no surprises. Running effective EAC meetings. As you might imagine, our Emergency Action Committee met very often. Before each session, the RSO and I conferred to set the agenda for the meeting, focusing on the messages Washington needed to hear coming out of it. This kept the gatherings efficient and made them as useful as possible. The most important thing I learned from my two years leading Consulate General Karachi is this: Successful diplomacy in a high-threat post depends on understanding Washington—and, for a constituent post, the embassy as well. There is no use complaining about the “10,000-mile screwdriver.” Today’s technology guarantees that no overseas post will ever operate with the sense of autonomy and distance from the flagpole that we once did. The key to managing and succeeding is constantly taking the pulse of Washington, and anticipating information demands—both to avoid surprises and (hopefully) head off directives you disagree with. I thought I had done a good job meeting the key Washington players during consultations before I went to post. But events in September 2012 and later, particularly the spring 2014 attack on Karachi Airport, made me realize I hadn’t even scratched the surface in terms of everyone who had a say in operations at my post. Building and maintaining a close partnership with the embassy front office and country team, including spending a few days every month in the capital. Every movement an American staff member made in Karachi was planned in advance. The robust diplomacy we carried out in Karachi used all the tools at our disposal. Our team developed political and civil society contacts, promoted U.S. business interests and our core development objectives, facilitated legitimate travel to the United States, and touched countless lives through education programs, social media and even televised cooking shows. The tragic events of September 2012 altered our operating environment, just as emerging local and global threats did. These often affected what we could do from day to day, but they didn’t stop us from doing our job. Nor, I believe, did they appreciably limit the impact of our work. The main lesson I took away from my time in Karachi was that, even in the post-Benghazi era, U.S. diplomats can successfully engage in high-threat environments—if they have the right resources, foster a strong and unified team, and understand Washington. 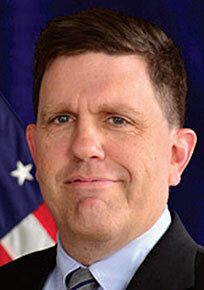 Michael Dodman, a Foreign Service officer since 1988, was consul general in Karachi from July 2012 to August 2014, and won the 2014 Ryan C. Crocker Award for Outstanding Leadership in Expeditionary Diplomacy for his work there. He is currently director of the entry-level career development and assignments section of the Bureau of Human Resources.